In the past, our patio garden's always teeming with life at the end of July. 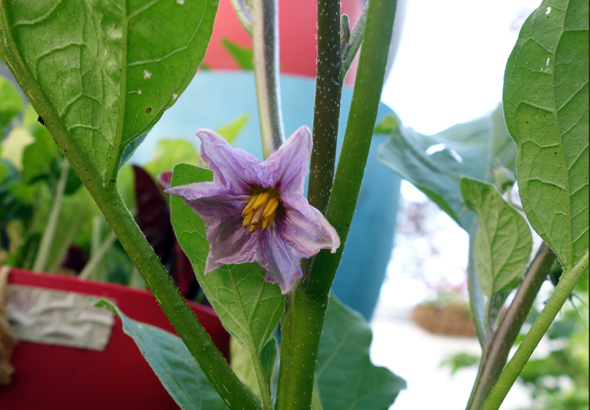 The pepper plants are usually loaded with fruits, the tomatoes are out of their cages, the plants are almost always a nice, rich shade of green, and there are bees, butterflies, and all sorts of other signs of life. 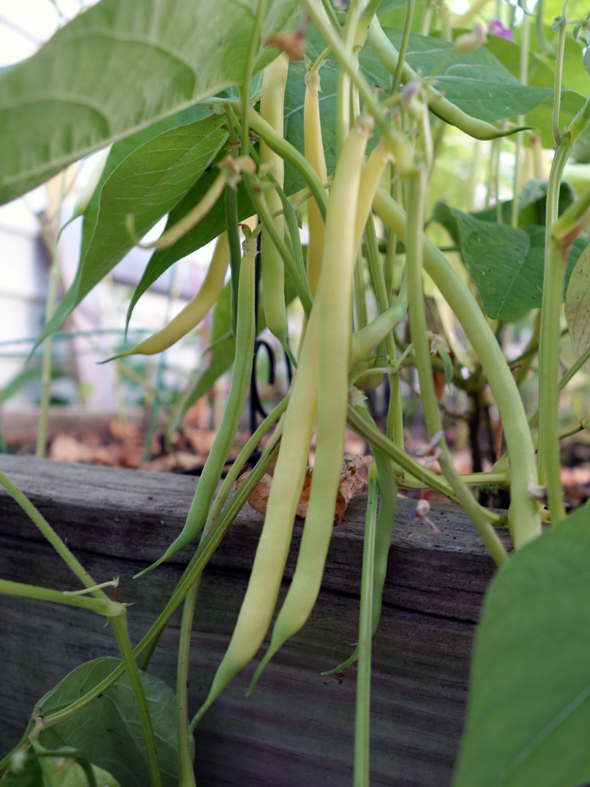 The wax beans that we're experimenting with are growing great. The pole ones, especially, are quite an unruly sight to behold! I think we'll have a decent harvest of beans this season. The ground cherries are the stars of the garden! We have two plants, and they must have like 300 fruits on them! I love ground cherries and can't wait till they ripen! The cucumbers have sprung to life in the last couple of weeks! We have lots of flowers, but no cucumbers yet. I believe we won't have to wait too long for those! The eggplants are also stalled. Flowers are just starting to appear, and I'm afraid we won't have a long enough season to have any significant harvest. But, on a brighter side, we are getting ready to dig up some yummy yukon potatoes to go with dinner tonight! This month, the berries are officially done. We had a few blueberries and strawberries that were waiting to ripen, but the birds got to them before we could. I'd feel sad, but Zach and I recently ate a 10lb box of blueberries and I am okay with taking a break! For August, we are sowing a new round of carrots and maybe some baby beets too.